Lorelle Burton is an internationally-recognised psychology educator who is now leading community-capacity building programs that aim to address issues faced by marginalised groups in our society. Lorelle is a Professor of Psychology and has received multiple national teaching excellence awards. 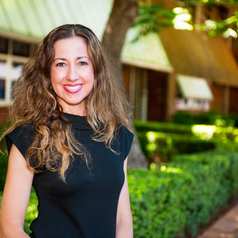 She has also authored market leading first-year Australian psychology textbooks, including a highly acclaimed chapter on cross-cultural and indigenous psychology. Lorelle’s current research focus extends beyond the academic learning community to broader community-based learning communities. She is the leader of the Community Futures research program in the Institute for Resilient Regions at the University of Southern Queensland, Australia. This involves working collaboratively with various community groups to promote community capacity building and well-being. In particular, she works closely with marginalised youth and the aged, examining the challenges they face and identifying the key factors that contribute to these social issues. The Community Futures research seeks people’s own stories as a powerful way to strengthen communities and find new paths to support them into the future.